To watch a skilled craftsman perform at a fraction of their full health, fighting through sickness to create a memory that lasts far longer than what affects them, is a galvanizing achievement. 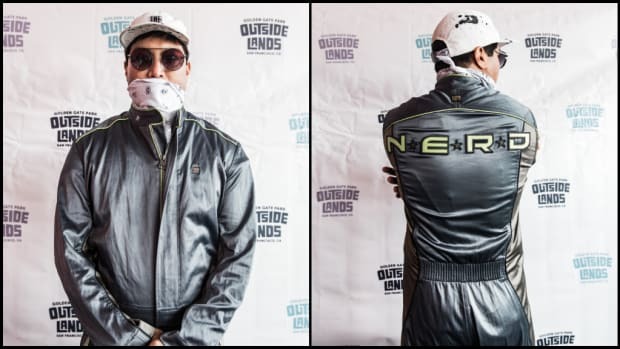 At the 2018 Outside Lands Music and Arts Festival, Janelle Monáe dazzled the crowd with her intricately choreographed set and commanding vocals, a feat made even more impressive since mere moments before her set was scheduled to take place, she was throwing up backstage due to food poisoning. 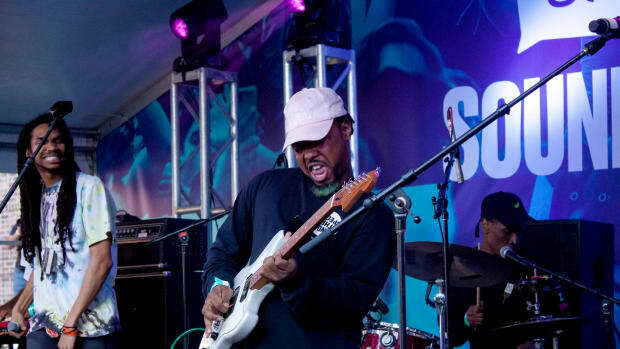 Last week, upbeat blues singer-songwriter Omar Apollo found himself in a similar situation as a severe illness threatened to derail his SXSW performance at FADER Fort. Bed-ridden throughout the day of his scheduled performance, Omar was unsure if he’d be able to take the stage but decided to try his luck and see what he could muster. For most of his set, Omar was a bouncing bundle of vitality, pouring out whatever energy he had in the can. Despite being sick, Omar put on a show the only way he knows how—energy cranked up to 100—only pausing between songs to hack up corpse-rattling coughs to the side of the microphone. 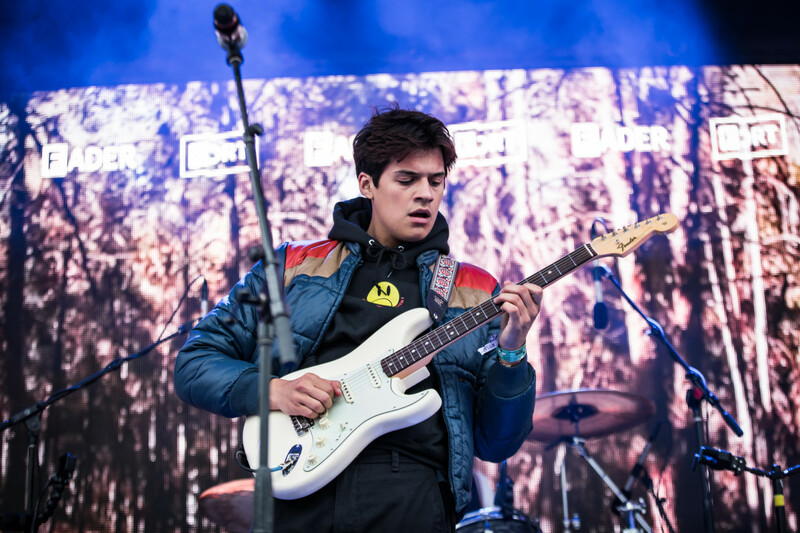 Omar Apollo performing at FADER Fort during the 2019 SXSW Conference & Festivals. The day after his performance, we met up at Omar&apos;s Airbnb. He was feeling slightly better, rejuvenated by additional rest and several bowls of Tom Yum soup. Still, the effects of his illness are apparent. 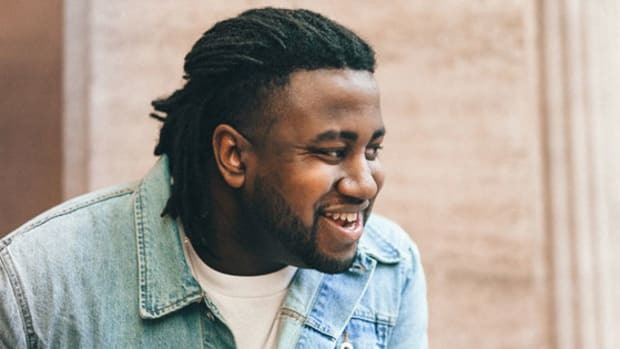 The live show has been integral to Omar’s progression from an aspiring artist living in his friend’s attic to one of music’s most promising talents. Earlier this year, he crowd-surfed for the first time in Houston, an experience he cites as an early career highlight. While crowd-surfing is fun, many of his shows have been special for a much more profound reason. 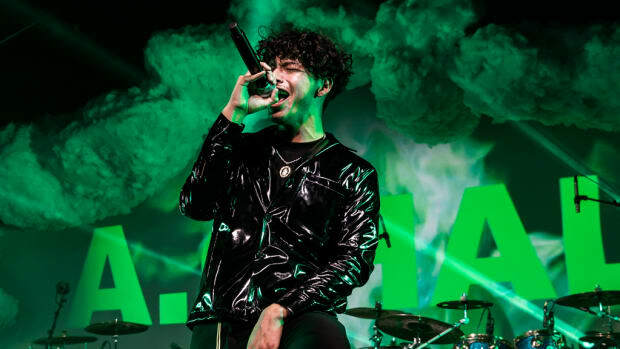 For a first generation, Mexican-American artist who strives to be a model for how others who relate to his story can pave their own path in life, touring has allowed Omar the chance to connect directly with his fans and hear firsthand how impactful his success has been in their everyday lives. 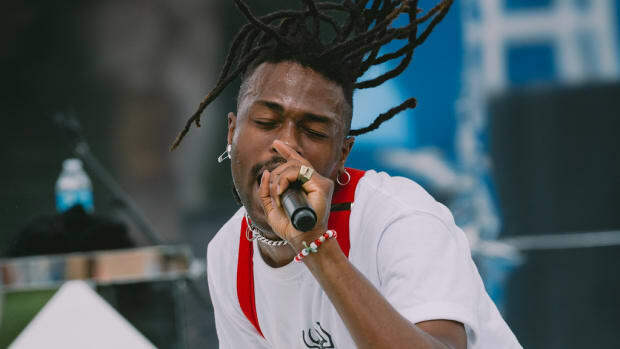 That group includes members of his family, who, after seeing Omar perform in front of more than 1,000 fans at Metro Chicago, finally understood how his passion had become a fully sustainable career. 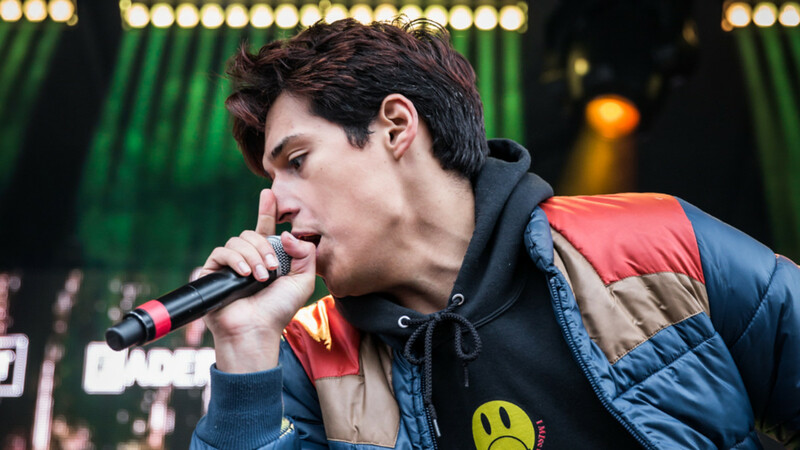 Omar Apollo&apos;s journey to stardom started with singles “Ugotme” and “Unbothered,” and continued last May with the release of his seven-track EP, Stereo. 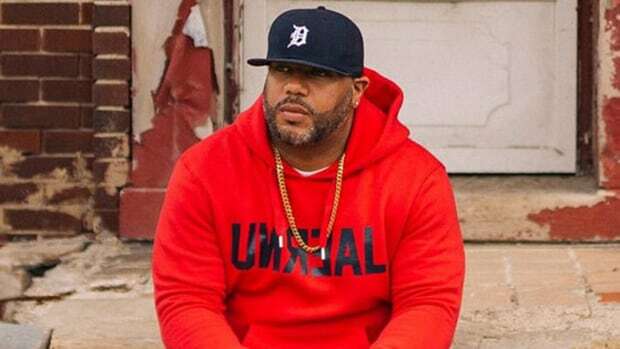 Throughout the tracklist, Omar showcases his vast musical ability, whether he’s casually rapping on “Hijo de Su Madre” or trying his hand with synths on “Stereo (Intro).” The title of the project alludes to his affinity for record stores while growing up in Indiana, referencing the phrase he often saw on the various LP covers and felt was a fitting way to capture the freewheeling nature of his project. Earlier this month, Omar announced he was finished working on his new EP, which he says will be more “theme-y” than Stereo. 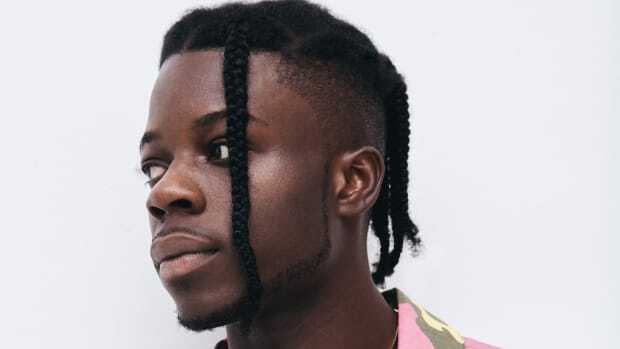 His two 2019 singles, “Trouble” and “Ashamed,” are a good indication of the duality to come on the next body of work; the former a downtempo love song with ethereal riffs and warm crooning, the latter treated with twanging guitars and blood-curdling yells. 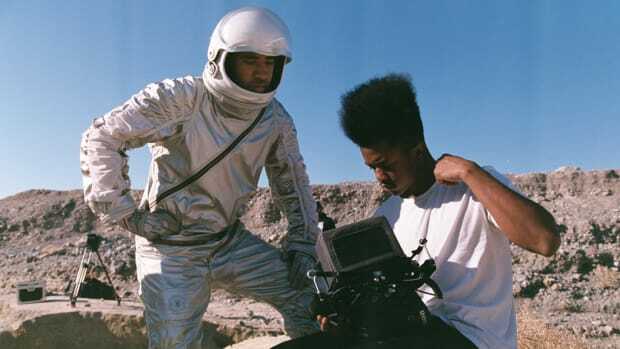 More than just developing an increased conceptual vision for his music, a lot has changed for Omar over the past 12 months. After growing up in the small town of South Haven, Indiana, with a population of just over 5,000, the 20-year-old recently relocated to Los Angeles after growing weary of the limited options afforded by his hometown. Omar admits his rapidly shifting situation has been at times tough to deal with. The abundance of career tasks and responsibilities, combined with being more than two thousand miles from friends and family, has made navigating the latest chapter of his story a challenge. Still, for Omar, knowing his music is making an impact means his journey is bigger than just himself.